An intensive, active, no-needles “line-relaxing” gel formulated to target fine lines and wrinkles around the eye area, above the lip, and creases in the forehead with clinically studied peptides and herbal extracts. results: Significant reduction of the appearance of fine lines and wrinkles with regular use. active ingredients: Peptides: 15% argirelene, 5% ameliox, 2% myoxinol; aloe, lecithin, camosine, tocopherol, silybum fruit extract, hibiscus extract, witch hazel, green tea, inositol, gingko biloba, sage, lactic acid, bifida ferment lysate, centella asiatica, licorice root, sweet almond, skin tightener ST.
application tips: Prep skin with an emerginC toner. 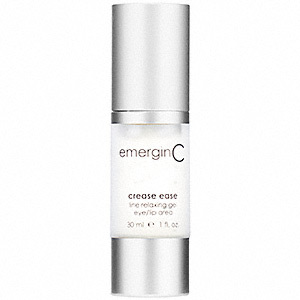 For maximum benefit, follow application with crease ease emulsion. Results are cumulative. Gel should be used for at least 30 days for best results. results: Fights the signs of aging, targets fine lines and crows feet and helps to reduce puffiness. active ingredients: Apple stem cells, apple seed and peel extracts, argan oil, jojoba oil, cactus extract, hyaluronic acid, olive oil, green tea. 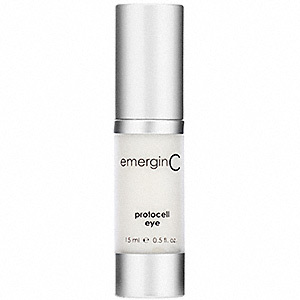 application tips: May be worn over the emerginC vitamin C eye serum or emerginC lighten up. results: Super antioxidant, fights the signs of aging skin, cellular energizer, cell fortifier, hydration, can help lighten eye area. active ingredients: Alpha-lipoic acid, coenzyme Q10, lutein, liposomes, vitamin C, E and H, shea butter, meadowfoam seed extract, borage seed extract. 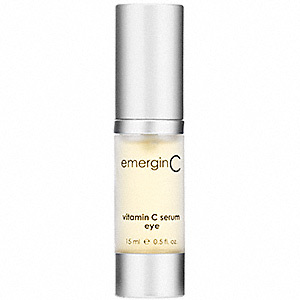 application tips: Use by itself or over emerginC vitamin c eye serum. An active, nourishing cream with super-antioxidant astaxanthin, Derm SRC™ with bamboo and pea extracts, Acquacell™ with watermelon rind and lentil extracts, grape stem cells, apple extract, rose hip, olive oil, shea butter and more, designed to fight the appearance of fine lines, wrinkles, puffiness and under-eye circles, while hydrating and brightening. 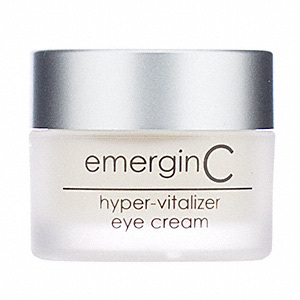 results: Combats the appearance of fine lines, wrinkles, puffiness and dark under-eye circles. Hydrates, brightens, nourishes. active ingredients: Astaxanthin, Derm SRC™, Acquacell™, grape stem cells, shea butter, cupuacu butter and more. application tips: Gently apply around eye area, avoiding direct contact with eye itself. 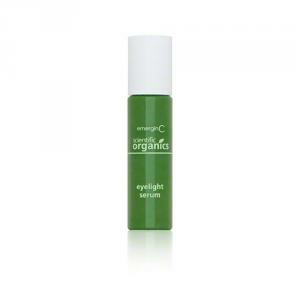 May be applied over emerginC scientific organics eyelight serum. An active roll-on serum with super-antioxidant astaxanthin, grape stem cells, seaweed, kombucha, green + white teas, yerba mate, pinebark, hyaluronic acid, mallow and more, designed to combat the signs of aging, puffiness and dark under-eye circles as well as brighten. application tips: Gently apply around eye area, avoiding direct contact with eye itself. 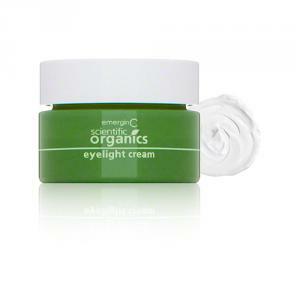 May be followed with emerginC scientific organics eyelight cream.